Tempt your taste buds with champagne truffles, chocolate confections and a chocolate cocktail (also know as a "chocktail") at some of the sweetest shops along our route. Drink in the historic sites and tales of chocolate's origin, while you drink up a chocolatey delight! 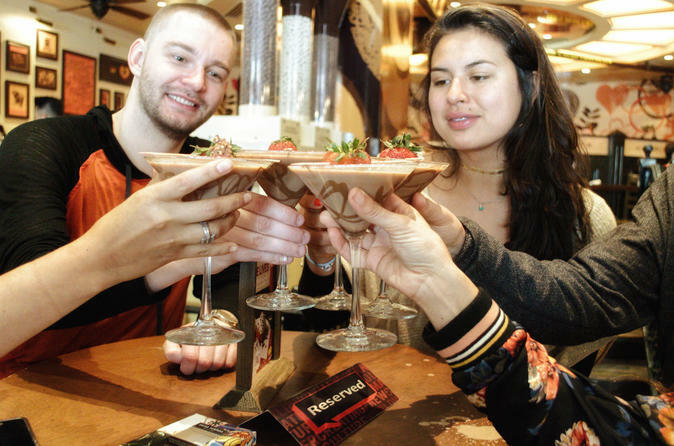 Each tour includes hand-selected chocolate tastings at multiple shops in the neighborhood and tales of chocolate's deep ties to Massachusetts. We will end with a chocolate cocktail made specifically for guests of Tipsy Chocolate Tours! Enjoy this delectable afternoon adventure with friends, family or someone special. All tours are for guests 21+ and IDs will be checked at the start of each tour. Join us and LET'S GET TIPSY!